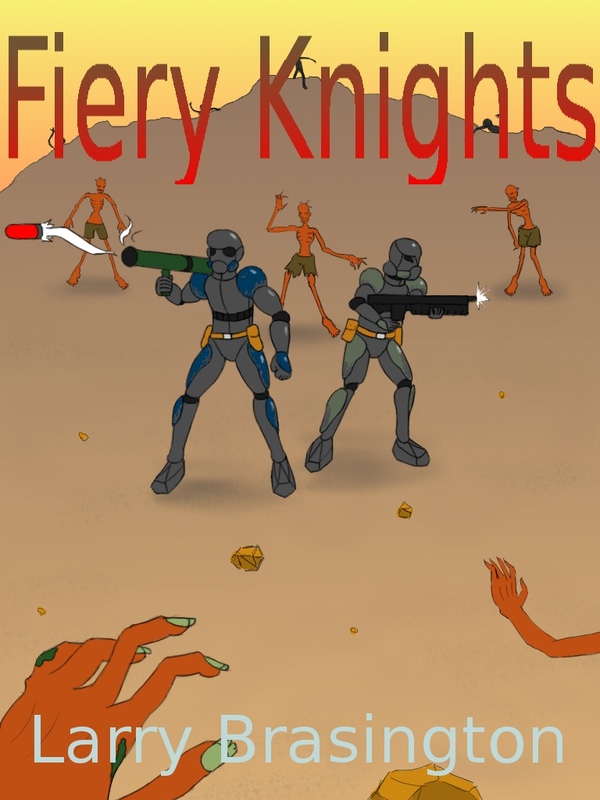 In the story Fiery Knights mankind has colonized and spread out in space. This was a time of great energy, expansion, and exploration until the Plague. The Plague started when space debris crashed into a planet New Georgia. surrounding worlds. Starships maintained a blockage, not allowing travel in or out for fear of the plague. Supplies and goods could be dropped in, but no one could leave or enter. Still under the pressure of an Apocalyptic War the Government collapsed. Those uninfected turned to the only organization left, the Church. in their historical records. They formed military orders modeled after the Middle Ages of Earth. Knighthood was revived from the faithful who would swear to defend the faith and rid New Georgia from the plague. Each knight carried a symbol of his office, a sword.